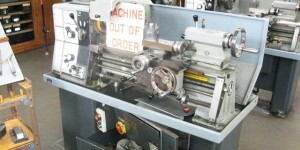 Do you have any surplus or redundant workshop equipment you are looking to sell? We can buy your equipment at fair and competitive prices which include disconnection and removal from site by fully qualified and insured personnel. Many of the surplus and redundant machines we purchase can be resupplied back to the education sector as a cost-effective and environmentally responsible alternative to buying new equipment. Send us details of your equipment for sale by e-mail at sales@ipmws.co.uk for a quote, attaching clear photos if possible.